I want to thank Zibra Paint for collaborating with me on this Architectural Salvage For The Entry post. All opinions are my own. Architectural salvage is one of my favorite things. If I was Oprah and had a show, I would have to add architectural salvage to my list of favorite things. There is something about salvaging the beautiful architectural details in old homes and buildings. 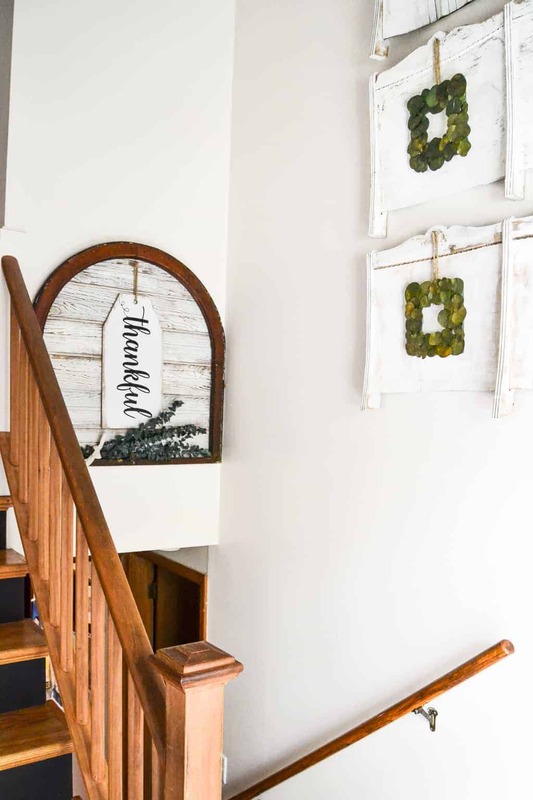 You can reuse them for what they were made for, or repurpose them into beautiful decor for your home. Old corbels are top on my architectural salvage list, but anything that has character, great shape or hints of the past are things I will pick up for sure. 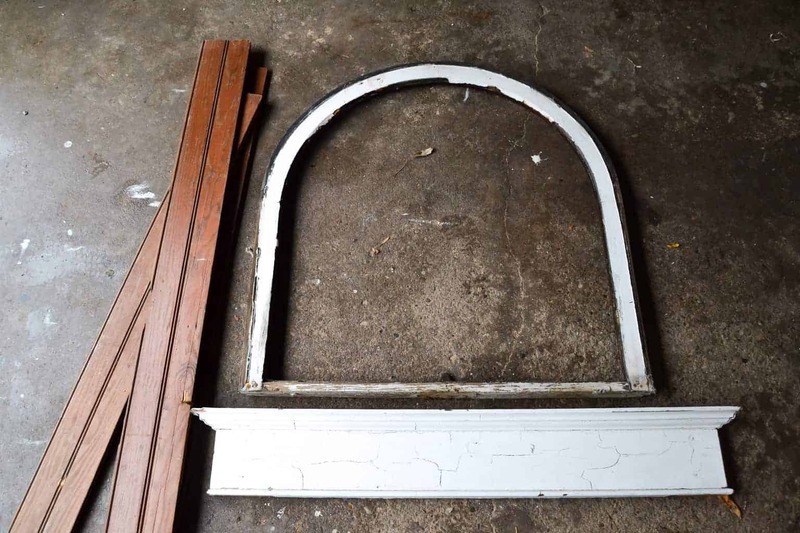 My last architectural salvage find was this arched window. Any old, arched window is a good window. AND…… it was a steal at $3!!! We were ready to start creating! 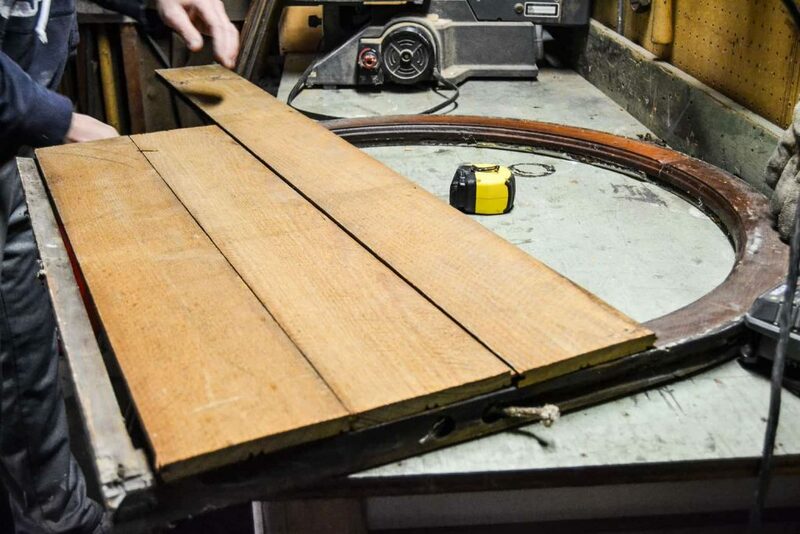 This first thing we did was measure and cut the tongue and groove ship lap boards to fit the back of the window. 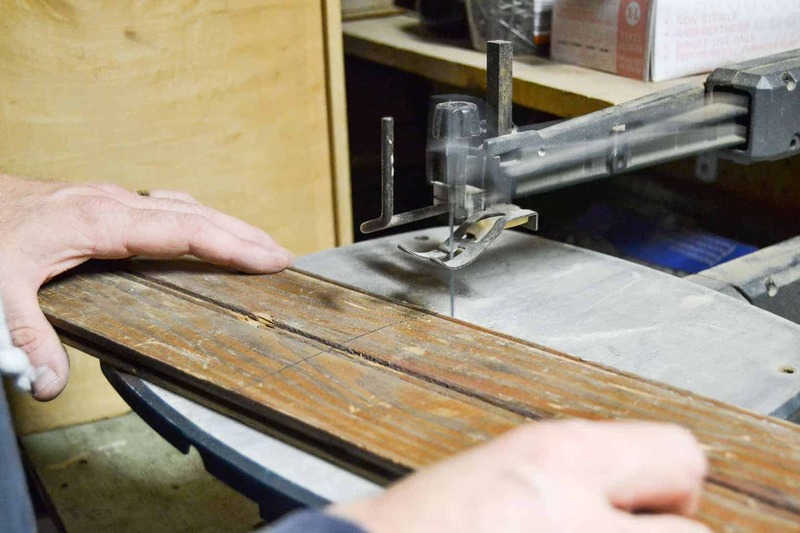 Matt used the scroll saw to cut the boards. 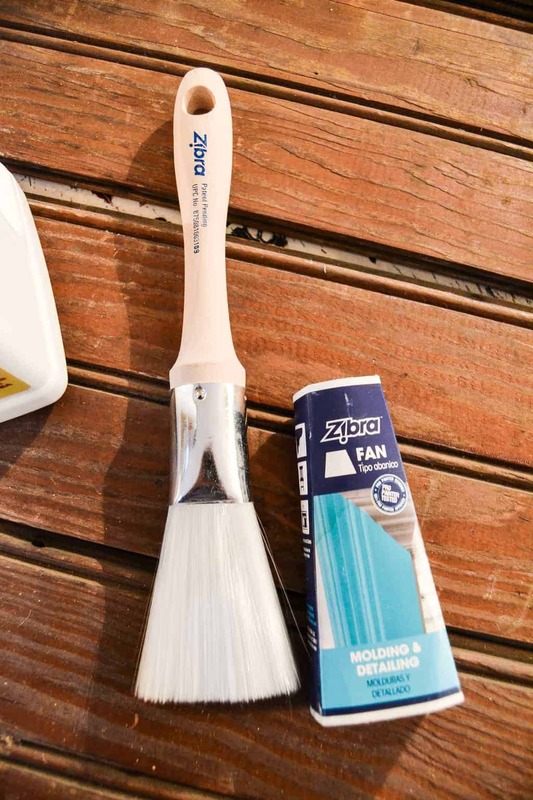 Once all of the wood was cut, I used my Molding & Detailing brush from Zibra Paint to paint the boards. This brush got in all of the details of the tongue and groove boards easily. Literally, it was one swipe of the brush and all the grooves were covered. 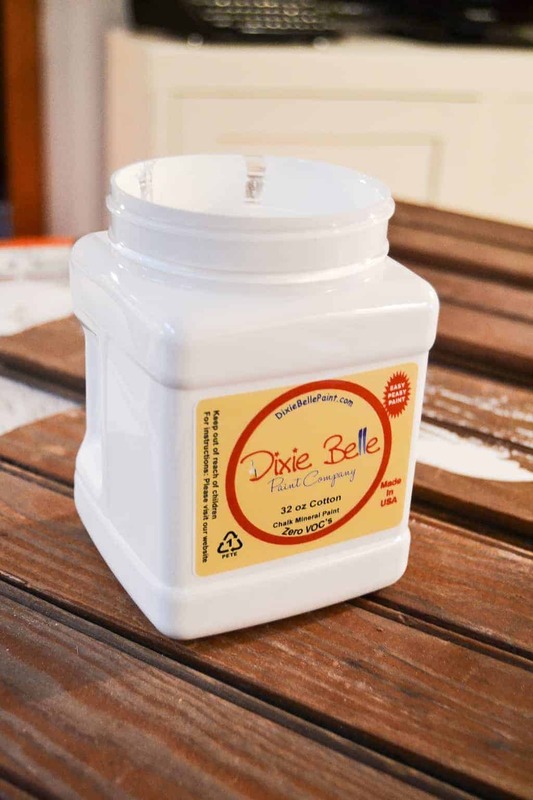 I chose to paint the boards in “Cotton” by Dixie Belle Paint. (Find it HERE.) 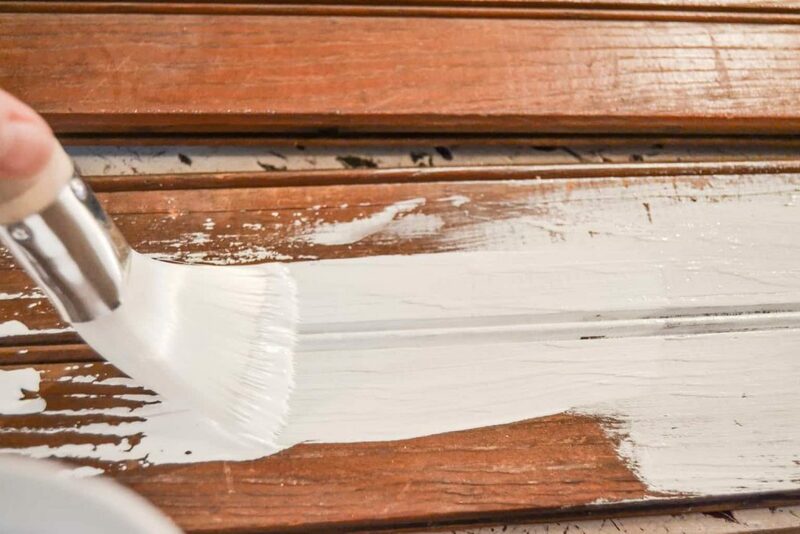 It is a beautiful white color and exactly what the tongue and groove boards needed to brighten them up. Once the paint dried, I used my orbital sander to rough up the paint and distress the boards a bit. Matt used his nail gun to attach the boards to the back of the window. When I first saw this window, I saw the painted side of the window. When I got the boards painted and distressed, I put them on the window with the wood side showing. I liked it so much better. I sanded the side down to clean it up a bit and then added Hemp Oil from Fusion Mineral Paint which really brought out the color and richness of the wood. I could not be more happy with the architectural salvage. It cost us less than $5 to make! 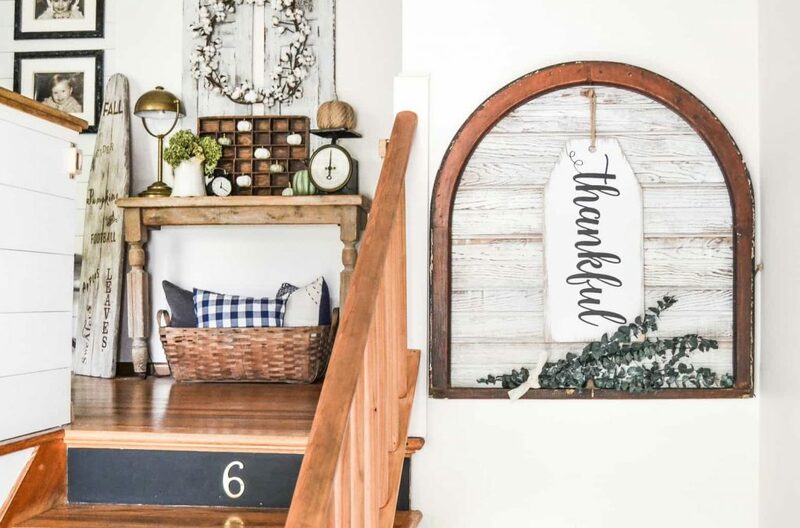 This piece fits in beautifully with everything else we have going on as soon as you walk into the front door. It just fits. I love the way it plays off the repurposed chairs we just added to the entry as well. 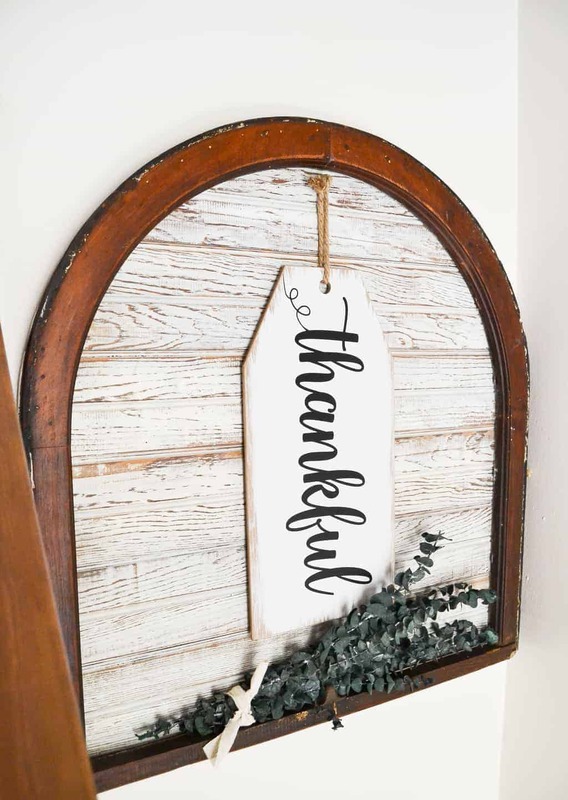 Of course after we got the piece hung, I knew it needed a little something extra so I added the Thankful Sign I got from Kirklands and some eucalyptus I found at Goodwill. Once we had those things on it, I did a happy dance at the front door. 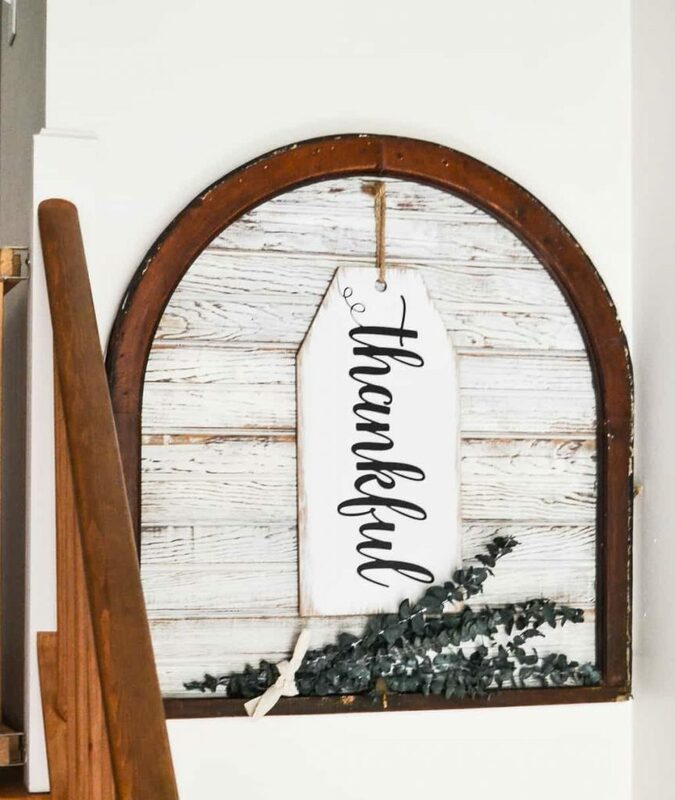 This DIY thing is so rewarding and so much fun! Seeing your vision come together without forking out a ton of money to get it, is the best feeling. I love it and Matt loves it. This is just fantastic. You can add me to the I Love Architectural Salvage List. I LOVE IT! Thank you so much Larissa!!! !